The lifting of sanctions as a result of the Iran Deal has been lauded by political leaders in the West as well as in Iran, despite some mixed messages from Iranian leaders. On Monday, Iran’s Supreme Leader Ayatollah Ali Khamenei welcomed the lifting of international sanctions against Iran, but warned that Tehran should remain wary of the United States. 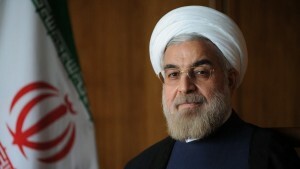 State television reported that Khamenei wrote to President Hassan Rouhani to congratulate him on implementing the nuclear deal, which resulted in US, European Union and United Nations sanctions being lifted over the weekend. In a harrowing incident that harkened back to the days of the Nazis, a Jewish cemetery in Sochaczew, Poland was desecrated on Sunday with anti-Semitic slogans and symbols and pro-ISIS messages. The cemetery sits among other graves for Catholics, Protestants, Orthodox Christians and Muslims. ohel-sochaczewHate-filled slogans such as “the Holocaust never happened” were scrawled across the Ohel HaTzadik memorial, next to threatening slogans such as “Islam will dominate” and “Islamic State was here.” Another featured a Star of David hanging from a noose. The entire Jewish population of the town was wiped out by the Nazis in World War II. 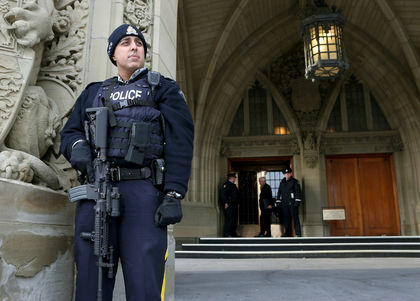 The latest issue of Dabiq, a magazine published by the Islamic State, is again calling for attacks on Canada. A professional looking magazine available in English, and other languages, Dabiq is used as a tool to attract recruits and provide messages to followers. The latest issue, released Nov. 18, is titled “Just Terror.” Included among the 65 pages of propaganda is a reprint of words first spoken by ISIS spokesman Abu Mohammed Al-Adnani referencing Canada. Labour party MP John Mann, a vocal critic of Corbyn and chairman of the All-Party Parliamentary Group Against Anti-Semitism, said he had received over 40 such emails and tweets. 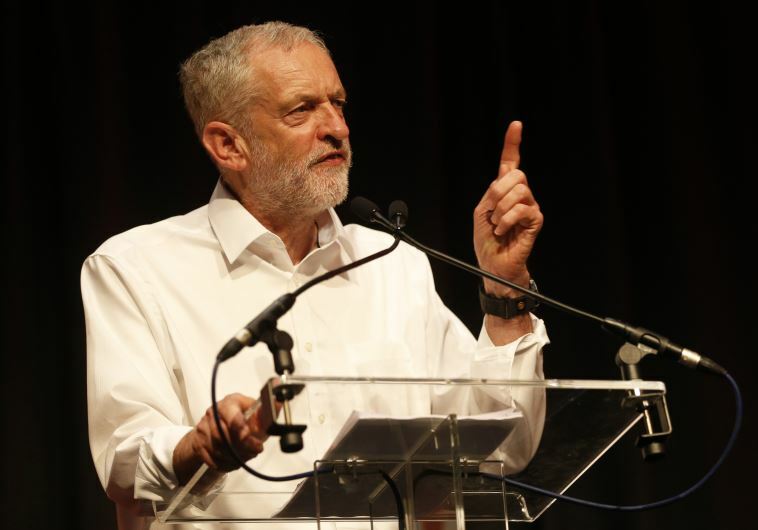 MP’s critical of Labour party leadership candidate Jeremy Corbyn have received a bevy of anti-Semitic messages, even those within his same party, calling them “utter filth” and Zionist stooges,” The Jewish Chronicle reported Monday. Prime Minister Binyamin Netanyahu on Tuesday denounced a resurgence in anti-Semitism both in the Middle East and in the West, speaking at a forum about the problem. “Today there is no doubt that we are living in an age of resurgent anti-Semitism,” Netanyahu said at the opening of the fifth Global Forum for Combating Anti-Semitism, according to the AFP news agency. 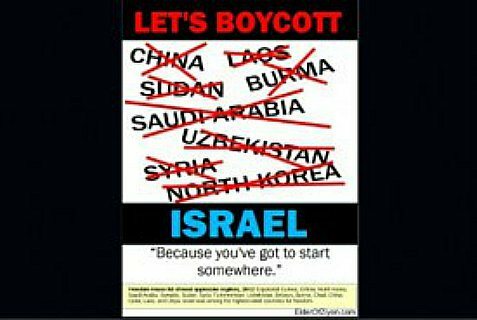 Israel is the only country targeted by BDS. 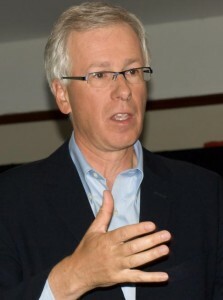 The pro-Israel Canadian government may be planning to include boycotts of Israel as a hate crime, the Canadian Broadcasting Corporation (CBC) reported Monday. 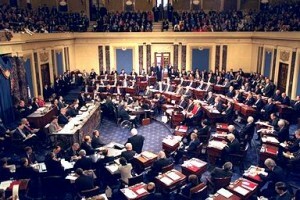 The U.S. Senate on Thursday overwhelmingly passed the Iran Nuclear Agreement Review Act of 2015, which would give Congress a 30-day period to review a final nuclear deal between Iran and world powers, in a 98-1 vote. Avigdor Liberman (Yisrael Beytenu) dropped a political bombshell today, and apparently not as a negotiating tactic, when he announced he is quitting as Foreign Minister and his party will not be joining PM Netanyahu’s coalition. 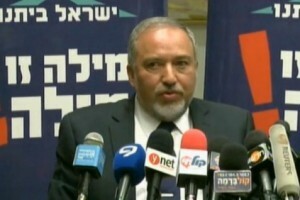 Liberman, unhappy with the directions of the negotiations said his party will be sticking to its principles, and as a result, will be joining the opposition. He wants Hamas destroyed and construction in the settlements. He also wants to be Foreign Minister again, which Netanyahu doesn’t want. 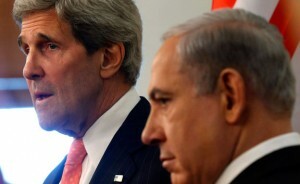 The U.S. Secretary of State has requested to visit Israel in order to discuss the negotiations with the Palestinians Immediately after the Israeli national Elections took place. 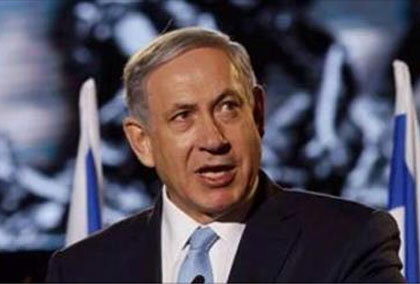 Prime Minister Netanyahu rejected the proposal arguing that the time is not right and it is better for Kerry to arrive only after the formation of the government will be completed. 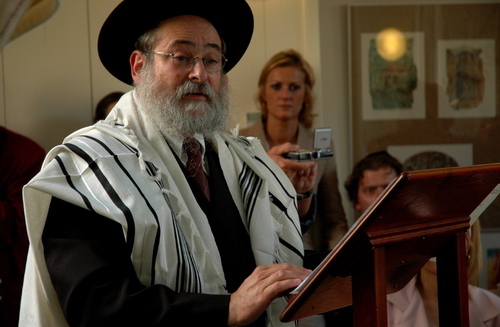 JNS.org – A Netherlands-based Baptist pastor and members of his church took to the streets of Amsterdam with Israeli flags in order to express support for Israel and Dutch Jews. Canadian-born pastor Stan Kamps, who runs an English-speaking church in the Dutch city of Almere, led a group of his church’s parishioners who walked around Amsterdam holding Israeli flags and handing out literature about Israel to people they encountered. “So many people believe the lies and propaganda they are being fed about Israel. This is why I go out with my Israeli flag, to encourage Jewish and Israeli people, and to speak with others [who] will listen about the truth in regards to Israel,” Kamps wrote in an email to The Jerusalem Post. 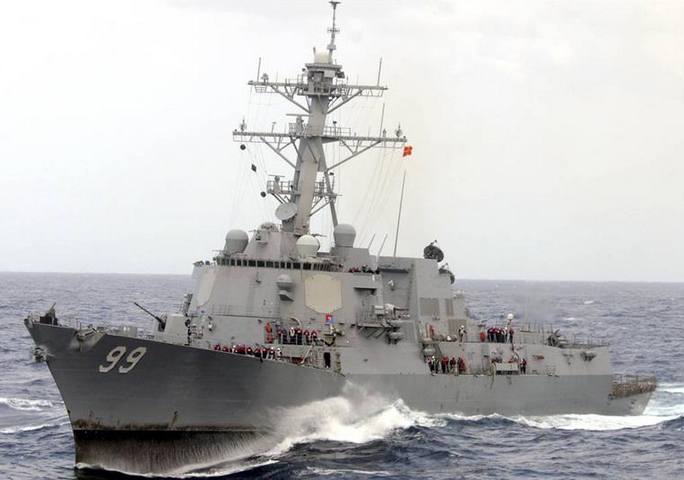 The U.S. Navy has begun accompanying American-flagged ships in the Strait of Hormuz, defense officials said on Thursday, in response to Iran’s seizure of a Marshall Islands-flagged ship this week in the gateway to the Persian Gulf. Navy warships are providing greater protection for U.S.-flagged vessels moving through the narrow strait where Iranian patrol boats confronted and took control of the M/V Maersk Tigris on Tuesday. Tensions in the Gulf are bringing further uncertainty to U.S. efforts to forge a nuclear agreement with Iran by a June 30 diplomatic deadline. 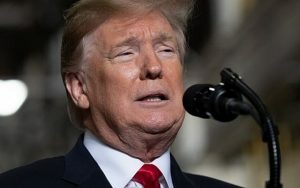 While Iran characterized its seizure of the cargo ship as the outgrowth of an unresolved financial dispute, American military officials said they saw it as a provocative show of force by Tehran. 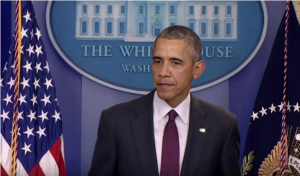 On Thursday, after the Pentagon informed President Barack Obama about the plan, Navy ships started offering stepped-up security for American ships moving in and out of the Persian Gulf, defense officials said. “Out of an abundance of caution, because of the unpredictability of our Iranian friends, we’re now positioned so that, should the Iranians decide that they’re going to be stupid, we’re ready to respond,” said one U.S. official. Iranian officials didn’t immediately respond to requests for comment on Thursday. The American decision signals another increase in tensions in the Persian Gulf, where the U.S. military sent an aircraft carrier in April to shadow an Iranian flotilla suspected of carrying arms for Tehran’s militant allies in Yemen. The flotilla eventually turned back, and some Pentagon officials saw the seizure of the Maersk Tigris as a response to that incident. 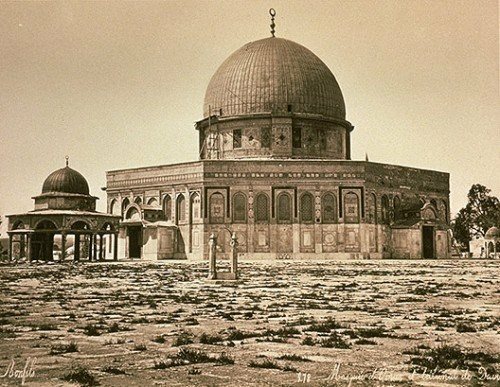 The Dome of The Rock in 1875, totally barren. Proof it is not Islam’s third holiest site. Whether the Muslims in Jerusalem in 1875? Félix Bonfils (1831-1885) was a French photographer and writer who was active in the Middle East. Four years after his arrival he reported 15,000 prints of Egypt, Palestine, Syria, and Greece, and 9,000 stereoscopic-views. He traveled to the region several times and we hear of no mass population of Palestinians, which contradicts everything the Palestinians lie about to the world. His pictures did not manage to capture any photographs of a single so-called ‘Palestinian’ who are suppose to have lost land to Jewish occupation.